We know just how important your area & oriental rugs are to you, because they’re just as important to us. Rug cleaning is an essential part of keeping a clean home. Oriental rugs are most often the focal point of any room; their texture, pattern, size, shape, and color perfectly complimenting every piece of furniture. But how do you retain your rug’s beauty and durability over time? Dirty rugs can be a hotbed for germs, dirt, dust, allergens, bacteria, pet dander, rotting food particles, and even a variety of tiny bugs. These all post great health risks, especially to children and seniors. Let’s take a look at the importance of area rug cleaning. What Can Cause Area Rug Damage? Over time, stains, liquid spills, pet dander, pollen, dust, loose dirt, hair, tracked in waste, and other debris gets embedded in your rugs. Even direct sunlight can cause visible rug damage. You probably know that you should vacuum your carpets every day, but make sure that you vacuum your area rugs too. It is the easiest way to keep out dirt and dry soil that can accumulate daily. Implementing a “shoes off” policy is another way to keep your area & oriental rugs clean. All sorts of things stick to the bottoms of shoes every day; dirt and allergens from outside, waste from bathrooms, and other germs are just a few. Regular and meticulous cleaning is the key! 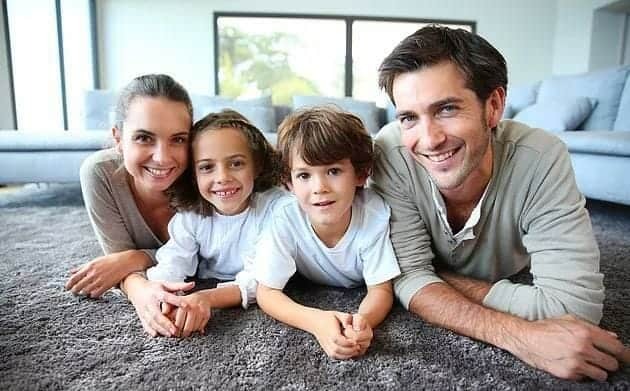 Having your area & oriental rugs professionally cleaned will make your rugs cleaner, healthier, and long-lasting. Contact Bebirian Rugs today to learn more!